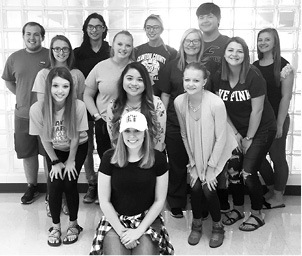 Clinton County Area Technology Center would like to introduce its 2018-2019 Nursing Assistant, Phlebotomy, and Pharmacy Technician program students. The students began their health care careers at the beginning of school and are working hard to prepare for their clinical rotations scheduled to begin in early October. Clinton County Care and Rehab Facility, Dr. Carol Peddicord’s office, Roberts’ Pharmacy, and Dyer Drug Store. The students and their instructors, Billie Frye, RN and Ashley King, RN, would like to express their gratitude to the facilities for allowing the students to work there. 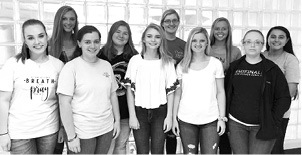 The students in the Nursing Assistant Program group one are, first row from left to right: Emily Shelton, Brandi Sparks, Savannah Parrigin, Carlie Robbins, and Haley Allen. 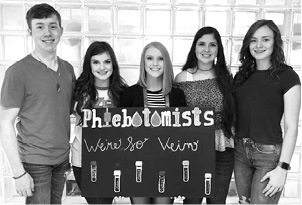 Second row: Anna Blake, Haley Lowhorn, Christina Collins, Tristan Moons, and Angelina Pascual. The students in the second group of the Nursing Assistant program are, first row, left to right: Makenzie Kerney. Second row: Megan Dishman, Jennifer Ramirez, Kaytlen Matthews. Third row: Kelsie Glidewell, Tori Franklin, Kaleigh Swift, and Abigail Tallent. Fourth row: Parker Barnett, Zack Smith, Erica Smith, John Butler, and Kaitlyn Brown (not pictured Kylie Cole). 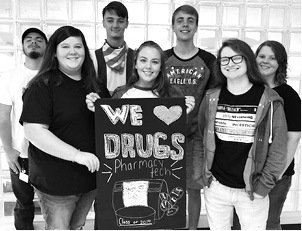 The students in the Pharmacy Technology Program are, first row, left to right: Kaylee Stearns, Nicole Stearns, and Alicia Riddle. Second row, left to right: Kilean Duvall, Garrett Page, Jackson Harlan, and Makayla Shelley.